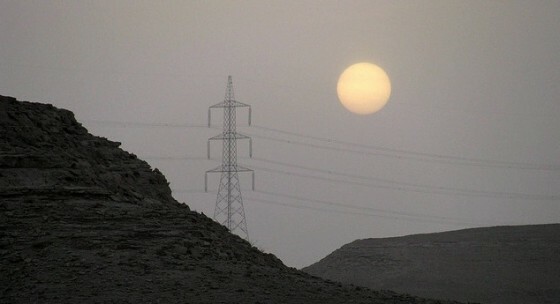 Saudis, Kuwaitis and Emiritis experience summer blackouts, despite being oil- and gas-rich. Lack of infrastructure and change in lifestyle to blame. With temperatures reaching up to 50 degrees Celsius or 112 Fahrenheit more the a few countries in the region are struggling to keep up with people’s needs to keep cool in the scorching summer heat. In Israel, which sadly gets most of its energy from coal and natural gas, the public power company the Israel Electric Company issued a statement on Sunday calling for Israelis to minimize their electricity use between noon and 5 pm for the rest of the week as the company’s production was reaching its limits, the Jerusalem Post is reporting. The paper also pointed out the Israel only keeps a single digit power reserves compared to the 17-25 percent which is considered necessary. While it’s quite plausible the electricity might be in shortage in Israel as the country lacks any significant natural resources, the fact that blackouts are occurring in the United Arab Emirates home to the world’s seventh largest proven oil reserve is maybe more surprising. But that is what has been happening all summer long in Sharjah, one of the smaller of the seven emirates that make up the UAE, according to the Abu Dhabi based newspaper The National. Reports of blackouts have been reported from Kuwait and also OPEC kingpin Saudi Arabia, the world’s top oil producer. Much of the problem stems from the fact that while these countries have been focused on developing their oil and natural gas recourses towards export, money that was then invested in national developments plans. However little focus was given to construct power plants for domestic power production so when the demand for electricity grew when citizens started accruing new habits such as air conditioning at home, and at the massive shopping malls that have sprung up across the region, there was simply not enough production capability. One other problem facing Dubai is that tenants don’t have an individual meter, as is standard in North American and Europe, but pay a fall rate regardless of how much electricity they use thereby not creating any incentive to switch to energy efficient solutions. Under the auspice of the GCC an estimate $1.4 billion have been spend on establishing a joint power grind covering four of its six member states which will enable excess power to be exported between Saudi Arabia, Qatar, Bahrain and Kuwait, with Oman and the UAE poised to join in 2011.